Television Centre yesterday hosted a series of walking tours exploring the key development sites in White City, in collaboration with New London Architecture. 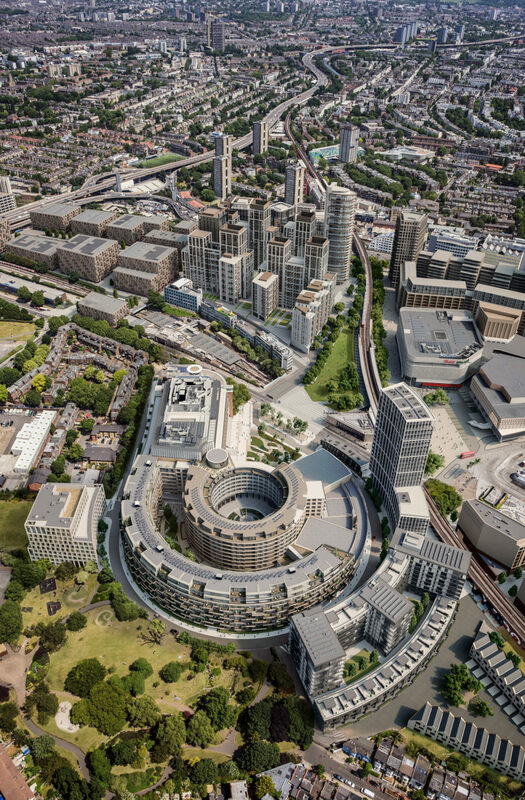 Over 100 people signed up for the tours of White City, which included visits to the development sites at Imperial College’s White City Campus, Westfield London, Berkeley St James and White City Place, which is also being developed by Stanhope. Representatives from each of the developments were on hand at each site to provide an overview of their project and updates on construction progress. The walking tours were followed by a drinks reception attended by a further 50 people in the Pavilion at Television Centre, which was designed by 2015 Stirling Prize winners Allford Hall Monaghan Morris (AHMM) and opened to the public last month. The reception included speeches from Peter Murray, Chairman of the NLA, Alistair Shaw, Managing Director of Television Centre, and Susie Le Good, Director at AHMM. “It was fantastic to host the NLA event at Television Centre and welcome so many industry experts to this part of West London. White City is really changing and the extent of redevelopment works already underway either side of Wood Lane is astounding.